During his visit, President Lee will be granted honorary membership of the Schumpeter Joseph A academic forum in Manchester in northwestern England and will deliver a speech there on June 29 on Taiwan's political and economic development after World War II. Receiving the Schumpeter membership is one of the most important items on Lee's itinerary. The Schumpeter chair was established in commemoration of the economist Joseph Schumpeter. Schumpeter, who lived from 1883-1950, was renowned for his theories on the evolution of capitalism and economic cycles. An Austrian finance minister, he was highly influential in the field of economics. President Lee and his wife will also attend their granddaughter's commencement from a British senior high school. In addition, Lee will meet Taiwanese community leaders, visit prestigious British think tanks and tour cultural relics and tourist attractions. China spares no effort to block his overseas visit as part of its diplomatic embargo against Taiwan. Against this background, President Lee adopted a low-profile approach toward his Britain visit to avoid bringing troubles to the British government. Lee is scheduled to return to Taipei on July 2. It remains unclear whether Lee will travel to other countries after his Britain visit. During his 12-year stint as the Taiwan President, President Lee pushed for Taiwan's democratization and endeavored to upgrade Taiwan's international profile. President Lee visited many countries during his presidential tenure, including several countries which recognize Beijing. 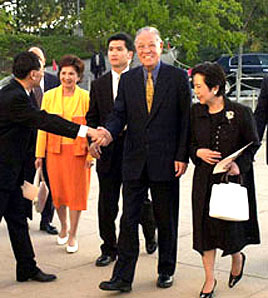 His landmark visit to the United States in 1995 angered Beijing as mainland leaders viewed the trip as a veiled move to promote Taiwan independence. Beijing then launched saber-rattling against Taiwan. It even lobbed missiles and conducted live-fire war games at Taiwan's doorsteps in the run-up to Taiwan's first-ever direct presidential election in 1996 with an aim to sway Taiwan voters from President Lee. Undaunted by Beijing's intimidation, Lee won a landslide in the vote. Tension in the Taiwan Strait escalated again after Lee defined relations across the Taiwan Strait as a "special state-to-state relationship" July 1999. In retaliation, Beijing announced indefinite postponement of its top negotiator with Taiwan Wang Daohan's planned visit to Taiwan, originally scheduled for last autumn, and suspended cross-strait dialogue. 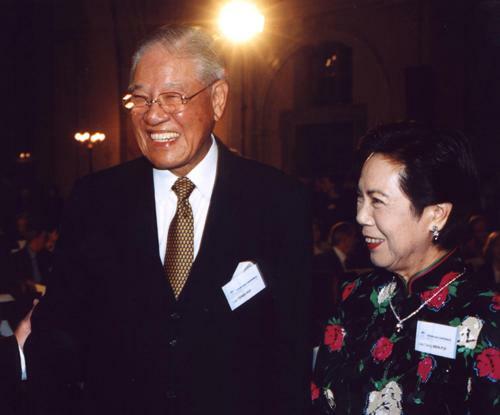 Lee stepped down from the chairmanship of the Kuomintang , which marked an end to the KMT's 55-year grip on power in Taiwan. President Lee Teng-hui returned to Taiwan Sunday evening from a trip to Britain. He left for Britain on June 27 to attend his granddaughter's high school graduation. He was accompanied during the trip by his wife Tseng Wen-hui. 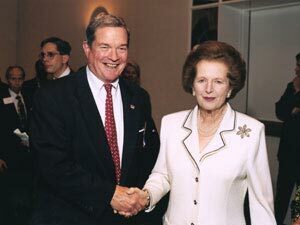 While in Britain, he met with former British prime minister Magret Thatcher, Lee arrived at the Thatcher Foundation at around 10 a.m., and had a cordial meeting with Thatcher. The two discussed current world affairs, a foundation spokesman Mark Worthington said. President Lee Teng-hui received an honorary membership of the Schumpeter Academic Forum in Manchester, and toured the British Museum and some other tourist attractions. At noon, Lee arrived at the Houses of Parliament and was given a guided tour by Tom Cox and Nicholas Winterton, co-chairmen of the parliament's cross-party Anglo-Taiwan Group.Afterwards, several members of the group entertained Lee with a banquet in his honor in a parliamentary clubroom. Because of communist China's protest, he did not deliver a speech at an annual meeting of the forum. Instead, Lin Bih-jaw, a deputy secretary to the President, read the text of Lee's speech at the meeting. Lee and his wife were greeted at the airport by Foreign Minister Wu Tzu-dan, and other officials. It's official now; former President Lee Teng-hui is making his first overseas trip since leaving office and his first trip to a country that does not recognize Taiwan since the controversial 1995 visit to his alma mater, Cornell University. China's protests have rung out in their accustomed fashion, but this time the pressure tactics seem to have faltered. Amid feverish speculation about Lee's possible future overseas itineraries, Beijing has spared no effort to try to prevent any foreign visits, leading some commentators to describe his situation as "house arrest." Naturally such commentators are crowing now, calling the UK trip a major breakthrough for Taiwan. It is and it isn't. On the one hand, the symbolism is certainly rich. 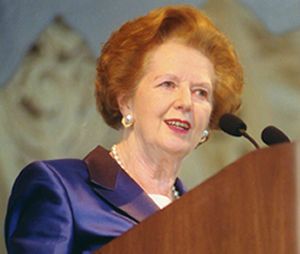 During his presidency, Lee gained a level of international celebrity unmatched by any other Taiwanese, earning the appellation "Mr Democracy" in the international media. Conversely, the Chinese propaganda machine targeted Lee personally in a manner unusual for both its harshness and its scale; in volumes of criticisms issued over the years, Lee has been subjected to many epithets. So the fact that he is able to go to Britain and give a public speech, especially in the face of Chinese condemnation, resonate strongly with the Taiwanese people. Lee has a golden opportunity to enhance the understanding and sympathy of the rest of the world for Taiwan. His speech will gather extensive international media coverage. Since he is likely to focus on his own contributions and achievements, he should be able to increase positive perceptions of Taiwan's new democracy. We certainly hope that Lee will follow this visit with similar trips to other countries. He might even make something of a new career out of it, travelling the world as a kind of goodwill ambassador for Taiwan. Lee's trip is a first for Taiwan. Never before has Taiwan had an ex-president at all, let alone one who travelled abroad. The simple fact that we have one today is itself well worth cheering as one more milestone in the evolution of our democracy.